Welcome to one of the finest New York Hotel, the Marlton. The hotel is located in 5 West 8th Street, New York City, New York. The accommodations at the hotel are upscale, creative and charming. You will feel like royalty staying here. The customer service staffs are eager to please. No customer request goes unmet. The hotel is reliable, homely and the place to beat for both business and leisure travellers in New York. The room categories found here include; the Queen Deluxe, The Queen, Petite Queen, The Full, The Petite Full, The Twin, and the Penthouse Suite. For your dining needs, you are welcomed to the Marlton Hotel's own restaurant - the Margaux. The cuisines served here have influences from as far as southern and eastern Mediterranean, California and France. You can also have a cocktail at the Cocktail Bar or coffees at the Espresso Bar. Popular holiday activities at and around the hotel include sightseeing, shopping, fine dining, clubbing, photography and many more. Make a reservation at the hotel today or click here to see what other travellers are saying about the hotel on Trip Advisor. 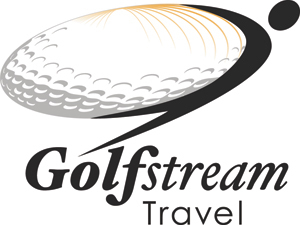 Golf Stream Travel will help you plan your trip to New York City.